If you are a small company and you are relatively new to the game, it is always important for you to use your time to create the best possible brand that you can to impress people and get their attention. When it comes to branding for your business there are a lot of things you will need to consider, and often a simple branding guide can be a helpful thing to have for you and everyone else in the business. A branding guide will ensure that whenever marketing materials are created for the business they fit a certain standard and they always take on the same kind of tone. By making a guide, anyone can make a piece of marketing material for their part of the business and it will still show your business flow and style. Here are some of the simplest ways to make one for yourself this year. Before you do anything else, you will want to make your branding guide look the part and be super simple for people to follow. Using a PowerPoint slide style of document can be easier than a word document to use and this will make things much easier for you as you start showing examples of colors and fonts. You can Get Free Google Slides Themes online and use these to make the slideshow look professional and sleek. A color scheme is a much more important part of your business than you may think. Once a color scheme is chosen there isn’t much that you can do to change that perception of the business so you need to use the right kind of tone. For example, if you were a business who provided training courses and you wanted to look professional, sticking with whites, blacks, greys and one color is a good option. However, for a fashion brand you could choose one or two bright colors to show off your style and personality. You can create color palettes online with around 5-6 colors and this will be the basis of any marketing you do. This will help you to get an idea of what the font looks like in practice and it can ensure that you have made the right choice. Imagery is a huge part of business and if you have a few standard stock images which you like to use for a range of different things, this is where they should go. Images can be a great way to grab attention so if you have some high-quality ones on hand this can be super helpful for you. Sizing is something you will want to consider with your marketing in terms of social media posts and images on the page and even the logo. You should have a specific size guide which shows what size something should be depending on the size of the document. For example, for an A4 flyer you might set the font to be size 14 and the logo to take up 2 inches by 2 inches in the corner of the piece. It is helpful to try things out to get a feel for what you want here and this can have a big impact on your copy. The logo of course is an important part of anyone’s marketing material and you should be aiming to get the logo into every single piece of copy you do in one way or the other. 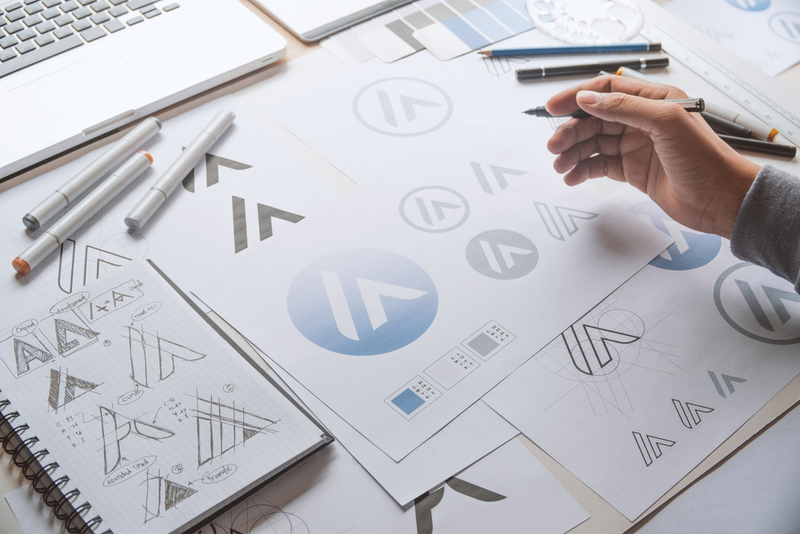 The reasons you should always make room for a logo is because this will be what people start to recognize you by and this is something which will be a great asset to you. Make sure you always have a standard place for your logo on copy for example in the header or footer on the left or right corner. This will keep your marketing in the same tone throughout.